Hello friends! 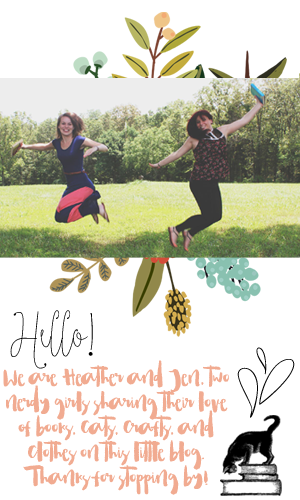 We're here to discuss all things Passenger by Alexandra Bracken. I feel really disappointed to tell you that for both Jen and I this book was a huge flop. I decided to put it down around 200 pages and Jen made it farther but also decided to not finish. So this discussion will be short and sweet for us. This is the first time we have both not liked a book since we started this blog. It can be hard when you are really excited for a new release and it does not live up to expectations. I do think that time is precious and I've been trying to get better about knowing when it's time to let something I'm not enjoying go. I know plenty of people who really loved this book, it was one of their favorite reads and that is awesome. We all have different tastes and things we enjoy and that's ok. I guess I just want to give the disclaimer that because I didn't like this book, doesn't mean you won't love it. If you think it sounds cool, then try it! I'm not a book expect and anything on here is just our opinion. I also think it's a good rule to discuss things we don't like, but to not bash them in a hateful way. So here is our discussion of a book we didn't like that we will discuss in a critical but nice way. I've never written a book and can't imagine how hard it is so I'm not down for bashing any author who goes for it. And now on to the discussion! 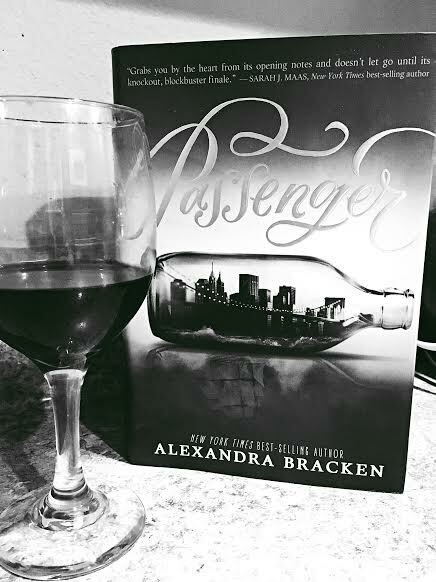 Passenger by Alexandra Bracken was our February book club pick. Both of us ended up not finishing the book. Why did you decide to put it down and how far into the book did you make it before deciding to stop? Oh man, I really hate DNFing a book but I decided to at 76%. Passenger was almost 500 pages and I kept expecting the story to get better but it never did and I think giving it that long of a chance really cemented by decision that there would be no significant improvements. I was really disappointed because the premises sounded great and the cover was beautiful, but the story was a big ole mess. What about you? How did you know you hit your stopping point? I feel the same way about not finishing a book! It's really hard for me to put a book down once I start. However with Passenger I decided to put it down around page 200 I think. For me the story felt really disjointed and clunky. It was hard to get into and I found myself putting off reading because I was not feeling the story at all. It felt like a pale comparison to other, better YA novels I love. Time travel should be interesting but this book was just not able to keep my attention. I agree that the cover was gorgeous and the story had promise, but it did not go anywhere for me. So disappointing! I agree, I think the author tried to shove every YA trope into one book and man, the result was just not pretty or cohesive. Agreed. It just fell flat for me. With my new job I have such limited reading time now and for me it wasn't worth continuing on with it. I don't feel any regret for putting it down, and I know plenty of people on Goodreads who loved it, so it might just be that it didn't jive with us. I think my standards for great YA has just gotten higher in the past few years. Yea, I would completely agree with our standards getting higher. I don't regret putting it down either. I really tried to force myself to love it, probably because it was so hyped up, but it was a really weak read for me too. And if a book is going to be almost 500 pages, it really needs to have some substance to keep me entertained. I think you were 100% on it when you said the story pales in comparison to better YA books. I think I was most upset because I was on a Game of Thrones roll, took a break to read this for book club and then it was so weak in my mind I just hate that I lost some personal reading momentum. Oh well though, not ever book can at the levels of Sarah J. Maas or Rainbow Rowell. Yes! Everything you said times 2!